Did You Know There's 19 Types of Peppers? An easy to find ingredient that's popular in many recipes are peppers. The first thought might be sweet bell peppers, but did you know that there are a ton of pepper varieties other than bell peppers? Sweet, mild, hot, and some even unbearable, most types have great use in the culinary world. You probably know how to work with bell peppers, which are ideal when making stuffed peppers since they're big and have a sweet flavor, but there are a few pepper varieties that might be worth trying out if you haven't already. Thanks to Gifts.com, we have a helpful guide of 19 sweet peppers and spicy peppers and how they range in flavor, and most importantly, their heat level. Peppers are rated using Scoville Units and can range between 0-100 (sweet peppers/hardly any heat) and up to 3,200,000 (seriously spicy) and beyond. With so many pepper varieties and recipes to make, this guide can help you figure out exactly what you want to use for a specific dish. Check it out below. If you're still unsure about how to use these types of peppers, no need worry! We've rounded up some of the best recipes for each pepper. A common type of bell pepper, Sweet California wonder peppers are known for their dark green color and delicious flavor. 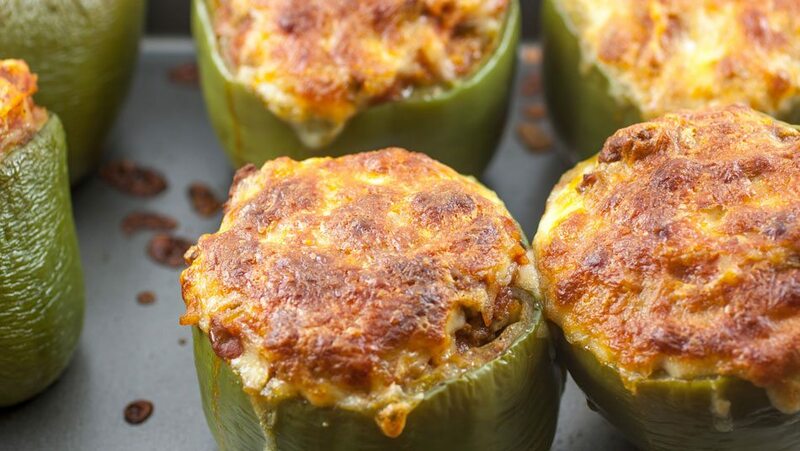 It's your go-to pepper for our Philly Cheesesteak Stuffed Peppers. A personal favorite with nothing but sweet flavor, Cabernet Bell Peppers make a great, healthy snack. However, they are even better if you want to make roasted bell peppers. Don't forget the crusty bread to go with it. 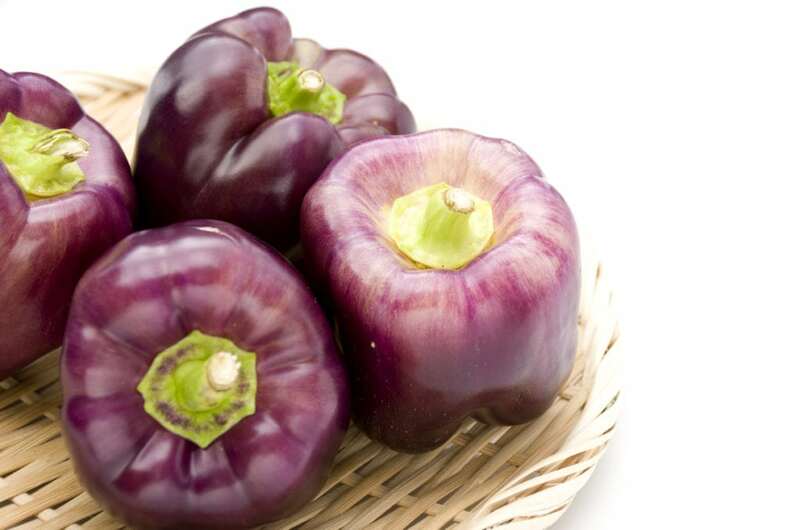 Islander Bell Peppers, aka purple bell peppers, are known for their stunning color. They have a sweet flavor, but not as much as the other types. It's best to serve these raw since cooking them will change the color. Try serving with hummus or on a veggie platter. Fruity and vibrant, make the most out of this sweet bell pepper by whipping up a creamy Golden Red and Orange Bell Pepper Soup. Don't be fooled by its shape! Carmen peppers are super sweet and are perfect to use in Italian dishes, but we love to stuff them in this dish for Mexican Styled Carmen Peppers. Sweeter than green peppers, but not quite as much as red peppers, sweet chocolate peppers are the perfect in between and known for their dark chocolate colored skin. It's best to enjoy them raw or toss them into your next salad for lunch. Known for its banana-like shape and mostly mild taste, banana peppers are best to use for pickling. Try out the recipe for sweet and spicy Pickled Banana Peppers. Keep in mind that as banana peppers mature, they increase in spicy flavor. Roasting pimentos, also called cherry peppers, have a bright red outer skin, round shape, and mild heat. Try roasting them or better yet, try out this Oven Roasted Pimento Chicken recipe for dinner tonight. Sweet Italian Peppers, or sometimes called Tuscan peppers are crunchy with just a little kick of heat. My family likes to roast them and serve with bread, but I'm thinking these Pepperoncini Poppers would make a great appetizer! Cubanelle peppers, also called the Italian frying pepper, are considered sweet peppers although cubanelles heat level can range from mild to moderate (100-1,000 Scoville units). These Sausage-Stuffed Cubanelle Peppers are the way to go. With its earthy flavor and mild heat, poblano peppers are commonly grown all over Mexico and used in many popular dishes like our recipe for Stuffed Poblano Peppers with Corn, Beans, and Quinoa. When poblano peppers are dried, you might see them labeled as "ancho chile". We've all heard of jalapeño peppers- what's not to love? They're easy to find, crunchy, with just the right amount of heat. I know I can't get enough of snacking on jalapeño poppers as a late night snack or on game day, but this recipe for Jalapeño Pillow Puffs takes snacking to another level. Used mostly in Thai and Southeast Asian dishes, Kung pao peppers are ideal to add into stir-fry or this Kung Pao Chicken. With its mildly hot flavor, you definitely won't be missing out on the heat. Beautifully dark green Serrano peppers are originally from Mexico and can be found all around the United States. Some Serrano varieties taste slightly sweet, while others can be incredibly hot. If you're up for it, slice and eat them raw or blend them into your next Salsa Verde. There's a good chance you already have this pepper in your spice cabinet right now, just in a powder. Cayenne pepper is a great way to spice up southwest dishes or any dish for that matter. Chili peppers are also perfect for hot sauce. Next time you're thinking about reaching for store-bought, try making your own hot sauce. You'll be happy you did! Even though Thai peppers are small, that doesn't mean you'll miss out on the fiery heat! You can do a few things to extend their shelf life: dry them out and add to your favorite Thai dish or test out this Asian Hot Sauce recipe. *Warning: these last three hot peppers are not recommended for consumption...Only if you dare! The Komodo Dragon chili pepper is said to be one of the hottest peppers in the world measuring at a whopping 1.4 million Scoville Units or simply, 400 times hotter than jalapeño peppers! Originally named HP22B, the Carolina Reaper is bright red in color with a pointed tail and sort of creepy looking if you ask me. Folks have said that at first, it has a sweet, fruity flavor, but when the heat kicks in, grab a gallon of milk. Just read about this person's unfortunate experience. The name is no joke. This is the type of pepper you don't want to mess with or consume since the heat levels are said to be so intense that it's just not safe. It measures at 2.48 million heat units on the Scoville scale and is better off being used for medicinal purposes. Watch: The World's Hottest Pepper Can Kill You.